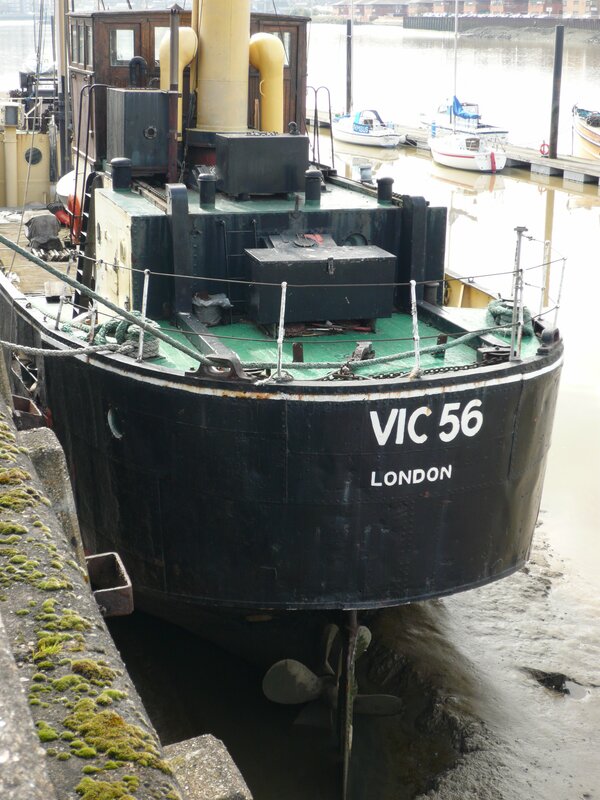 VIC 56 was built by James Pollock & Sons Ltd, Faversham, in 1945 as an oil-burning steamer for carrying ammunition. Her boiler was of convertible coal/oil-fired desing. 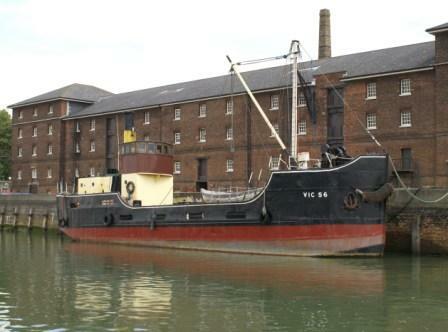 Like the other VICs, she had an open navigating platform - later, a wheelhouse was added by the Admiralty. 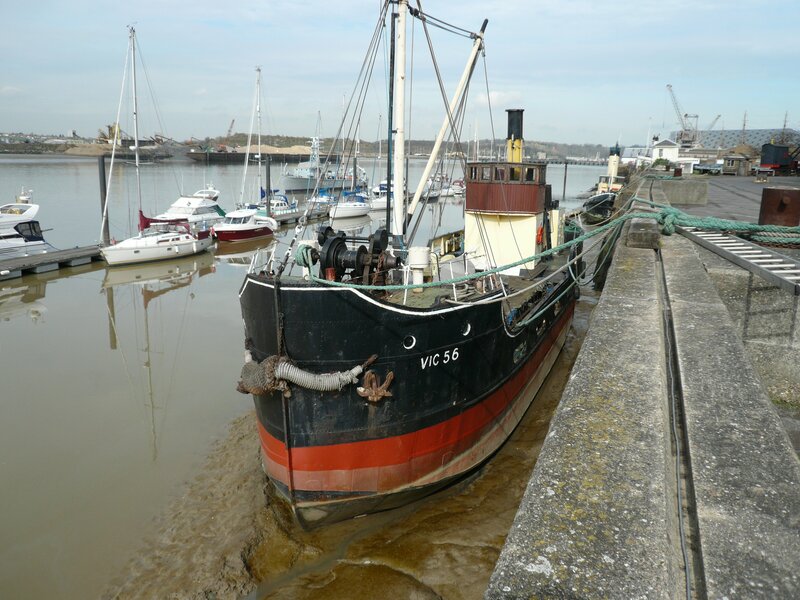 Her early use is unclear but, by 1947, she was allocated to the Victualling Store Officer at Rosyth Dockyard. 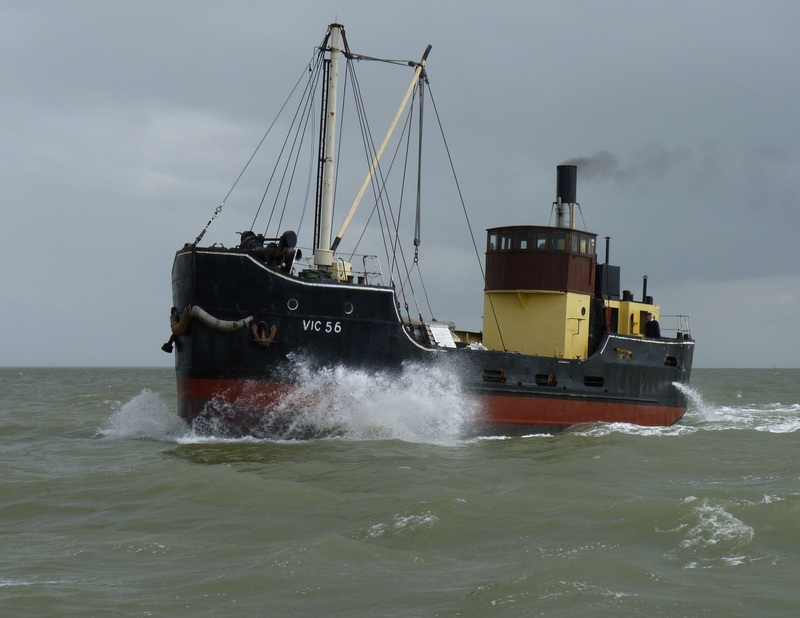 She spent thirty years at Rosyth, first as a stores carrier and later as an ammunition carrier, before being offered for sale in September 1978. In April 1961, she had sailed via the Caledonian Canal to the island of South Rona with construction materials to establish a base there. 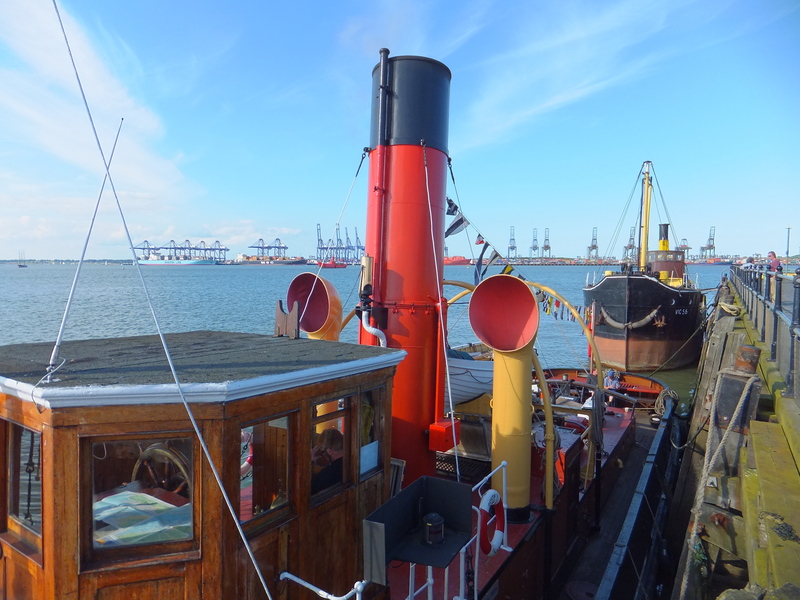 Her last recorded steaming with the Admiralty was in February 1975 and she was then laid up. 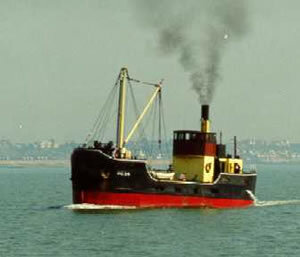 After her sale for preservation, she sailed to the Thames in April-May 1979. 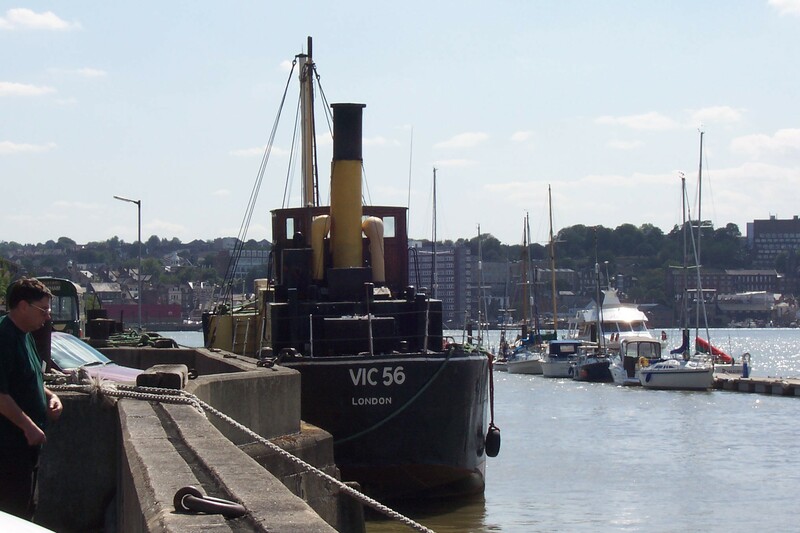 VIC 56 was then converted to coal-firing and the 2-ton capacity steel cargo derrick was replaced by a wooden one, which could be used to lower a boat by hand.